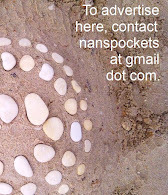 Things I've Found In Pockets: Guest Post: Fish Pie! "All babies are different. All mums are different. Don't beat yourself up if you aren't following ALL of someone's rules!" My friend Miira's beautiful two-year-old lives almost entirely on breastmilk. My middle child ate anything he could reach, as soon as he could reach. My last child spent several years living almost entirely on air, supplemented with the occasional nut, and is now having a growth spurt and eating five large meals a day. Some babies are very interested in food. Some mums get a huge kick out of feeding their babies. My only warning is that babies need MILK, and lots of it. 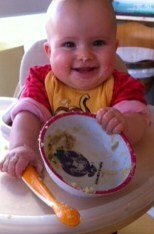 Have you noticed the food bits in your baby's nappy, if they are eating solids? That's because although a six-month-old baby can enjoy food, their body is not able to process it properly. The foodie goodness comes right out the other end, along with any 'added vitamins and minerals'. So ensure that your baby is still getting almost all of their calories from breastmilk or a sensible substitute. Salmon and cod - I got mine from the fish monger and asked him how much I needed. It would be easier if you get it without any skin on. Potatoes, leeks and an onion. Black pepper, bay leaves, freshly grated nutmeg and allspice. Like most people who have been cooking for a while I don't measure anything. I just do it by sight and taste so apologies for the lack of quantities. It also depends on how big you want it to be and how you want it to taste! To start I poach the fish in just enough milk to cover it and add the black pepper, nutmeg, bay leaves and allspice to taste for 5mins. Remove the fish and retain the milk for the sauce. Preheat the oven 180 degrees Celsius. 360 degrees fahrenheit (I think). Saute the leeks and onion in butter until soft. Add flour (about a tablespoon) to make a roux. And then slowly add the milk from the poached fish and stir until it coats the back of the spoon. Should be a consistency like custard. You can take the leeks and onions out, make the white sauce and then add them back in after. But I like the flavour it generates by leaving them in. Remove the bay leaves. Cook the potatoes until tender and then mash with the butter and milk. Add a little of the nutmeg to it. Flake the cooked fish and add to the white sauce. Mix well and place into a over proof dish. 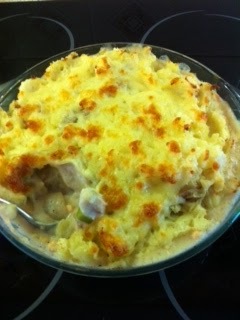 Place the potatoes on top of the fish mixture and grate some of the cheese on top. Place in the preheated oven for 12 mins. Or until golden and bubbling. I whizzed up some of the fish mixture so that Kate could benefit from the leeks and onions (as they were too big for her to gum!). I have found that puréed potato goes gloppy so I just keep that mashed. I'm also a lazy cook so I don't peel my potatoes - I use the Maris Piper variety where the skins disintegrate anyway so it isn't a problem. My mum used to use Idaho potatoes and they seemed to have much the same effect. And a lot of goodness is in the skins anyway so that's my excuse! So that's it. Hope you enjoy it. We all certainly did! I'm not a baby and I think that recipe sounds pretty dang good. It's actually 356 deg. F. But I suppose 360 is close enough for hand grenades. My lovely Health Visitor says that it is 1 pint of milk a day. BUT that includes all dairy products - yogurt, cheese, etc. Until a year old. But Kate loves all those things so I don't worry. But if you were concerned then there is some assurance. Always wondered how you get the fish thing going on in there. Definitely keeping this recipe. p.s. I never noticed that KLIM was milk spelt backwards until my husband told me. (Subliminal advertising or just laziness?) He grew up on the stuff and I guess saw it often enough to figure it out. I was like Duh!!! That totally went over my head for years! p.s.s. I never partook of the stuff, KLIM that is. 100% fresh cow's milk for me. p.s.s.s. Not that I'm calling my mama a cow, because I'm not 'cause that would be like so disrespectful. p.s.s.s.s. I drank the bovine substitute after my brother was born and took the good stuff away. p.s.s.s.s.s. My first kid (not that I am calling my child a goat either) devoured mummy milk like there was no tomorrow. p.s.s.s.s.s.s. The second mutinous one was extremely scornful and squirreled the soy milk into the grocery cart as soon as she could hold up her diapers long enough to reach for the shelf. Traitor. p.s.s.s.s.s.s. The point I was trying to make is to each his own. We all turned out healthy enough.